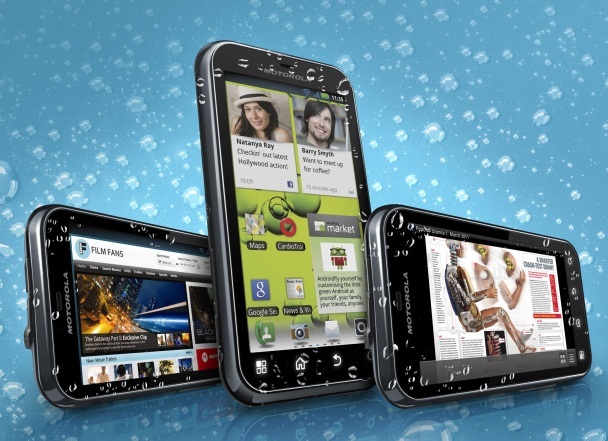 LIBERTYVILLE, Ill. – Aug. 15, 2011 – Live life to the fullest with the latest life proof smartphone from Motorola Mobility, Inc., Motorola DEFY™+. Building on the Motorola DEFY’s life proof heritage, Motorola DEFY+ offers exceptional protection from whatever life throws your way with its water resistant, scratch resistant and dust proof design (IP67). In addition, Motorola DEFY+ has a 1GHz processor that runs 25 percent faster and is more fun with the latest version of Android™ 2.3 (Gingerbread) delivering a smarter operating system and better battery life to fully enjoy your experiences. 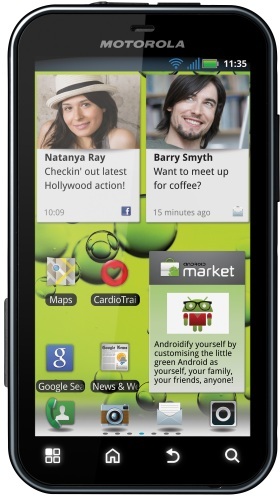 Motorola DEFY+ will be available in Asia, Europe and Latin America starting in early fall. Motorola DEFY+ is faster than ever, keeping up with your on-the-go lifestyles so you can effortlessly browse the Web, stay updated with social networking sites on your homes screens and stream and download rich media content more quickly than before. Motorola DEFY+ offers an Adobe® Flash® 10-enabled browser for a rich web experience that allows users to watch their favorite movies or view videos on the Web. Boredom proof your life; the richest experiences in entertainment and social media are always within reach with Motorola DEFY+. The Music Player lets you access and share your favorite music. You can also stream your favorite music straight from your desktops at home or work, with Motorola Media Link. Motorola DEFY+ also features Google Talk™ to keep you connected with friends and colleagues, while built in apps like the *Zinio™ e-magazine service allow you to keep up with favourite publications on-the-go. Entertainment doesn’t stop there: Motorola DEFY+ also features a 5MP camera with flash, digital zoom and auto focus, letting users capture the best of their social life and create their very own entertainment whatever the conditions.